As wind is an inconsistent and unpredictable source of energy, a back-up gas fired power supply is needed. As the back-up system only runs intermittently, it is less efficient, so produces more CO2 than if it were running constantly, if there were no turbines. Wind power sounds great in theory, but doesn’t work in practice. Another useless product that benefits no-one but the shareholders. Listen to the Earth. Get to know your nonhuman neighbours. Look after each other. Act collectively, not individually. Build alternatives, like gift economies, polyculture food systems, alternative education and community governance. Create a culture of resistance. I think sustainability is about relocalisation, decentralisation and diversity, which fosters resilience, and agree with many of your points under your subheadings. Despite our current denial, we cannot sustain a growth economy on a planet that is not expanding – although even this discussion is finally starting to happen closer to the mainstream (we’re into the bargaining stage of the grief cycle!). > You might say let’s just walk away, build alternatives, and let the whole system just fall apart when no-one pays it any attention any more. I used to like this idea too. But it can’t work…Your walking away doesn’t help them. Your breaking down the prison structure does. And you’re right that those who ‘get it’ can’t just disconnect and live life according to their values without worrying about those larger systems – because when the industrial structures do collapse (one thing not discussed here is peak oil, which will be our biggest undoing), there will be a lot of desperate people who don’t have access to food, or the skills to sustain themselves. And they won’t be sitting around wringing their hands, they’ll be out looking for what they need, and they’ll take it from wherever and whoever they can. > What is it we are trying to sustain? A living planet, or industrial civilization? Because we can’t have both. Over time, the word ‘sustainable’ and ‘sustainability’ has been co-opted by certain forces, particularly corporations – there was even a ludicrous comment about ‘ecologically sustainable uranium mining’ in this state a few years back! The word, the concept has been bastardised. Do we abandon it or reclaim it? >Somewhere along the way the environmental movement – based on a desire to protect the Earth, was largely eaten by the sustainability movement – based on a desire to maintain our comfortable lifestyles. My view has always been the opposite – that speaking of ‘the environment’ tends to infer a disconnect between people and nature, as if nature is somehow ‘out there’ and divorced from the human experience. It also enables certain elements who want to attack ‘greenies’ by saying they are misanthropes, don’t care about social justice etc, when the two are clearly two sides of the same coin. This contributes to ‘divide and conquer’ and stops us recognising our true problem. A society that exploits its environment will exploit each other; a society that exploits each other will exploit its environment. Although the terms ‘green’ and ‘sustainability’ have, I believe, both been co-opted by vested interests (those who speak of ‘green growth’ and ‘sustainable consumption’, for example), I don’t see the notion of sustainability as the enemy. True sustainability would require human societies to understand they are subordinate to nature, and that economies are subordinate to a society – neither nature, nor people, should be used as fuel for any economy. > What’s more important – sustainable energy for you to watch TV, or the lives of the world’s rivers, forests, animals, and oceans? Would you sooner live without these, without Earth? Even if this was an option, if you weren’t tightly bound in the interconnected in the web of life, would you really prefer to have electricity for your lights, computers and appliances, rather than share the ecstasy of being with all of life on Earth? Here’s the problem – a large number of people would say their electricity is more important, certainly in the time frame they understand (day to day life), especially if it’s presented only as an either/or choice. We have a culture of billions of people who are unconsciously unsustainable, and very few people think like ‘pioneers’ (see http://documents.campaignstrategy.org/uploads/maslow_groups_coms_guidelines.pdf ). So how can we ‘onboard’ the prospectors and the settlers (bearing in mind many pioneers also have some of the prospector and settler in them)? In my 20 years in this movement, I’ve come to the realisation that people tend not to respond to messages where they feel they are being blamed, that they are a planetary burden by virtue of their existence because they have arrived at this point in history in this culture. We need other ways to influence people. And we also have to be careful with our own sense of virtue – because even those of us who know this are still using products (like the computers we use to write and publish our thoughts) that contain rare earth materials, toxic components, and which make communities sick where they often end up at the end of their useful life. We are also the wealthy minority to six sevenths of the world’s population. >Only one-quarter of all consumption is by individuals. The rest is taken up by industry, agribusiness, the military, governments and corporations. Even if every one of us made every effort to reduce our ecological footprint, it would make little difference to overall consumption. And yet, individuals are purchasing the products (usually unknowingly, or often unwillingly) created by corporations, government and agribusiness. Right, in fact I think in order to be sustainable efficiency needs to be balanced with resiliency or it gets brittle and breaks, so pushing efficiency can create problems. See 25 years of research on complex network flows by R. N. Time to build local economies using local currencies and ramp up local organic food, and other essentials, production. These things sound small in a world bloated with superfluous crap but they will be big when the crap is just composting junk that won’t work anymore. I have a question. So, if we we’re to achieve this and on a global scale, or at least started working toward the eventual final outcome, the goal, what would it look like? Would we be evolving “back” toward a tribal based society globally? In the number of billions? If anyone has a solid realistic answer to this question please post! I’m trying to visual and imagine it, but I just can’t. Modern’s man’s inventions and materials are here to stay, and we’re going to have a mass amount of this (Plastic for several hundreds of years at least, and nuclear remains for thousands). My thoughts exactly, David. This all sounds wonderful on “paper,” but I didn’t see any realistic suggestions (I do like the alternative community ideas, but for the foreseeable future they likely will remain just that — alternative). Cut off the supply? How are you going to get folks to stop taking hot showers, or using cars, or electricity? I work in the environmental movement, and I will tell you the first thing that shuts most “regular” folk down quicker than anything is radical ideology. The concept of every little bit helps is practically the only way we can get through to the people who choose to live with blinders on. I agree with you personally, a radical change IS what needs to happen, but unless you forcibly take the candy away from the baby, the baby is going to keep eating the candy. I just don’t think widespread anarchy will work right now, not unless our economy collapses — what mothers or fathers do you know that will risk their children’s lives and futures when a “comfortable” life is still available? I think we need to work at making the “alternative” not so alternative anymore. Make farmers markets and new food communities more accessible and less intimidating to mainstream folks. Promote the concept of distributed generation electricity by working to convince your local town to install community-owned solar on the courthouse or county jail. I could go on and on, but I do know that you can’t stop an aircraft carrier in less than a mile and you can’t change a 1/2 century paradigm in just a few years. If you have a better idea, don’t waste your time attacking other people’s methods, especially if we’re on the same “team” — just start DOING it. Today. Right Now. Be the change you want to see. exactly, David, …. where is the image, the plan, the outlook for the exponentially grown population of 400+ years???? I loved the encapsulation of the prisoners choice in ‘fear and debt’, very nicely put…. necessity keeps people treading the same path,…. and then it’s pain and sadness that keeps them consuming more and more, emptiness, feeling a hollow inside – that’s what we can work on together – the inside of people – because if it were just the excess wants driving the growth economy they’d be easier to give up, but the basic human needs and desires, those are difficult to ignore. People want comfort, financial security, physical security, food security…. and the older you get the less radical you become about trying to achieve those ends, or the more tempered…. unless you are so financially secure you can start a new radical life and excite all the young people into following you – the young people who will suddenly wake up one day and realise they have a big education debt and no financial security…. for example when they fall pregnant and start raising a child and wonder where they will school this little person, and where this little person will be educated and work and so on. While there is only this old world there has to be a way to forge inroads that eventually break it apart, but the inroads must be fulfilling ones, not just rebellious ones. I agree that it is the system, not the way we work within the system that needs to be changed. I feel the frustration the author has for people who think they are doing enough by using less water or electricity, or having a more energy efficient car. But, I also believe that the true definition of sustainability is creating something that lasts forever. Therefore, those who truly understand living sustainably and advocating for sustainability know that you can make changes to the system by how you spend your money and how you live. It’s not about finding your way in the current system, it’s about creating and supporting a system that meets our goals and needs. That is hard for individuals alone to do, but we can all put efforts towards it. what system do you suggest? or have you/your community created that is worth supporting? I understand what you are saying, I think…. But if you were truly checked out of society yourself, you wouldn’t be using social media to send this message. Electricity, electronic devices made by slave labor creating pollution, etc etc. It should be noted that newly-independent and desperate for cash Greenland is a Rare Earth minerals paradise. It is also a very fragile and near virgin wilderness that is now becoming accessible to mining equipment, etc; due to melt from global warming. The drop in prices in Rare Earth minerals will fuel a mining, processing and ultimately consumer marketing boom in products containing these minerals. I also really appreciate Sharon’s in depth reply. Thanks Sharon! I intend to check out some of those links! What I would REALLY like to see from this author is more in the side of solutions. You’ve pointed out many flaws, and only given a vague idea at solutions beyond hinting that maybe we should just die since we can’t stop this train anyway. You also mention that “alternatives” aren’t working, but then in the end say we need more alternatives. So which ones should we adopt exactly? I see our human existence as a part of the earth’s ecosystem. When we go too far out of balance, nature will take its course. Either we will go extinct as well, or our numbers will be diminished dramatically. I don’t think any individual needs to take into their own hands what nature can do quite effectively. The course is already set. We just do the best we can, and hang on for the ride. Unless you’re envisioning human numbers so decimated that we go back to hunter-gatherer culture this is romanticism. Before modern technology was available, life for most people (at least in cooler climates) was a monotonous, uncomfortable, short, and mostly unpleasant slog, and nature was seen as much as an enemy just as much as a friend. It’s a pretty big stretch to imagine that ‘gift economies, and polyculture food systems’ would be enough to turn that scenario around, and that ‘alternative education’ would survive very long under the relentless daily grind of meeting necessity without technology. Leaving that aside have you ever seen images of what cancer can end up doing to people without modern surgery? Can you imagine, say, breast cancer surgery without anaesthetic? Most people’s wish to acquire the benefits of technology, and difficulty in giving these things up, is not, by and large, based on greed or stupidity or brainwashing by corporations. The benefits technology brings are huge on an individual level and cannot be dismissed so easily. I’m a carpenter; if it was not for the help of machines I would now (if I had been producing enough work to be a meaningful contributor in an unmechanised culture in a cold climate) be riddled with arthritis and approaching functional old age at 40. And I would have had precious little time or energy to enjoy nature, or contribute to my culture in other ways during that time. The fact that people have light to see after dark, and therefore to function after the working day is done, has made a vast difference to the richness of their lives, culturally, personally and politically. It’s great to acknowledge the enormity of the problems we face, but romanticising the alternatives doesn’t help either. We’re in a hole and if there is any kind of answer out there it will be more complex, and less black and white, than what you are suggesting. Marc: you’re speaking on behalf of the richest five or ten percent of the world’s population. The majority of people don’t have access to surgery, and are suffering to make modern medicine available to this minority. Their lives are impoverished, not enriched, by industrial civilization. No, I’m not. The vast majority of the remaining 90% want to have those things as well and given the chance, take them. Quite understandably. Dunno if I agree just yet… but I certainly enjoyed reading this and the question certainly keeps me busy! Thomas Berry also said we are entering an era where the central concern of human community will be the well being of the comprehensive earth community. He introduced the term the ecozoic era. Many interesting points made. However, I must disagree with the dismantling of the system and agree more with a re-inventing of the system. Bill McKibben’s “Deep Economy” book touches on this – the need to localize our economy. Also, the work of Paolo Soleri (http://en.wikipedia.org/wiki/Paolo_Soleri) shows that there are alternatives to the car-centric culture in which societies have thrived. Without social structures, however, we would probably have more social problems than we currently have given the amount of people in the planet. Also, I agree with the comment about technology. Technology and scientific advancements have made a positive difference in the world – take Polio, for example, which would affect over half a million people every year at it’s peak (http://en.wikipedia.org/wiki/History_of_poliomyelitis). Also, the advancement in computing power has been remarkable (http://en.wikipedia.org/wiki/History_of_computing_hardware) and no doubt it has allowed to advance medicine and scientific research much quicker than it would have been possible with out it. It’s not that technology doesn’t have a downside, because it does, but it has helped humanity greatly – not to mention the fact that technology has significantly improved the lives of the blind and the paralyzed (voice recognition computers, etc.). I believe that reinventing the system is possible (perhaps more so than trying to dismantle it). Dismantling would mean fighting all government and business super-powers which would probably create some sort of civil war. Re-inventing, however, could be worked out more like a deal where the institutions are smaller (localized) and restructured but still there, businesses still exist but on smaller and local scales, electricity generation is largely decentralized, and people have a greater sense of community (sharing a common garden instead of having individual backyards for example), and so on. Something like this is quite more possible than “killing” the system. Put yourself in their position too, many people who are part of the system are innocent to the harms caused by the system (I don’t think it’s fair to blame a good-willing employee at a big company for the bad things that company does if that person is not in a position to change something within that company – he or she is just working there because the need for income). “Those in power keep people believing that the only way we can change anything is within the structures they’ve created. They build the structures in a way that people can never change anything from within them.” I must disagree. The Civil Rights movement is a proof that this statement is not 100% accurate. Sadly though, it is accurate most of the time, but if people organize and actually push for change, change can happen. Also, outside of the United States, I saw change first-hand in Venezuela where economic disparity had never been addressed how it has been in recent years until people organized and took action. I know so few people who I can talk to about this stuff without it ending up in a fight, and even fewer people who are genuinely sympathetic to the realities. I’m not saying this from the perspective of someone who’s new to it all and just starting to dip into the literature. I’ve been at this for a long time, and still there are so few kin. I say that because almost every time I come across someone who really seems to be deep green I find that they are angry and want to hurt people who they think are to blame, instead of shouldering a portion of the blame themselves – as though they will find absolution through the violent overthrow of our violent system. I feel lost and alone as a critical, compassionate soul who gets it, but still doesn’t want to hurt anyone. References for claims made are wanting. I want to petition for a reservation to reclaim our right to be completly natural human seperste from government and cooperation ,I’ve started a page it isn’t big but we are going to protest in Ashland ,ky my page is (enlight in light ) it’s on Facebook,I don’t feel like we should have to pay for it if we don’t want to have no part in this twisted charade ,we didn’t ask to be born under a system like this. I want to live the way I was naturally intended. Thing is, all processes lead to increasing entropy in the universe. What is entropy? It is a measure of how many ways that things can be arranged (the more common misconception is that it is a “measure of disorder” but that is simply because with more options, the higher likelihood for disorder there is). Naturally, with higher disorder, we lead to a world with less-structured objects (such as life). To put it in simpler terms: Life doesn’t last forever, everything will die, and eventually the whole universe will just be a cold landscape of evenly-distributed dust. This is also referred to as the “heat death” of the universe. It is inevitable. It doesn’t matter what we as humans do; this is just what will happen, no matter what. You make posts all over your blog about how humans are causing destruction, and no amount of effort to slow down our destruction matters; we are just going to cause it. You are correct. However, your points are also largely moot, because, again, EVERYTHING is “destructive” in this manner. Even if every human on the earth kills themselves, right now, the earth will still be swallowed by the sun in a few billion years, and before that, another intelligent race will likely arise, and cause the same damage we have. I understand that you think it is morally objectionable for us to damage other species, to cause mass extinctions, and well: I agree with you. However, I also think that in such an entropic universe, it is important that we make some semblance of a meaningful structure. After all, should it just be a slow approach to dust with no interesting tidbits in between, or should there at least be moments where something cool pops up? Personally, I think it is a cool fact that your site CAN exist in the first place, and I’m sure you enjoy being able to communicate with thousands of people; convey your ideas and make people think. Thought, in of itself, is a cool thing. It is a thing humans are good at, and if you seek to stop our morally objectionable impact on the universe, you also have to admit that our very thoughts are dangerous. In fact, by the very nature of entropy, the more complex a process is, the more entropy it generates; the best way to slow down the growth of entropy, is to be as stupid as possible. That’s really what it boils down to; if you want to retain the moral high ground, you have to stop thinking. In any sense, if you DON’T want to stop thinking, you should know that any and every effort to produce a sustainable world, is doing so by reducing the entropic impact. They are doing what you want. There is also no point in trying to get humans to stop, because (a) they are not going to kill themselves (the most efficient route) and (b) they are NOT GOING TO STOP. So, if you want to stop the destruction…you can’t. But you can at least slow it down and minimize it. Your arguments, although they appear to be motivated by a need to stop the increase of entropy, are in fact, pushing for a speedup. Renewable resources cause the least damage, and lead to a world (where humans are present) where the entropic increase is the slowest it can be. You should be pushing FOR them, not against them. I just HAVE to leave this here. You don’t seem to UNDERSTAND that your efforts cause damage, so here you go. 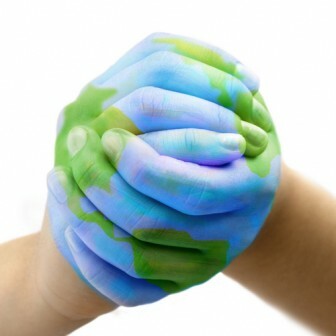 If the term sustainability mostly refers to the ‘ability’ to sustain the continuing experience of humans in the world…. and it usually refers to particular business models and technologies, but never addresses the big picture reality of the unsustainablity of the human race on this planet….. then yes of course sustainability as a model is destructive. If it refers to the reduction of the impact of the continuing experience of humans in the world and the specific technological advances aimed at achieving that, eg algae biofuel, then it’s not in itself destructive, it’s just the way it’s implemented that inevitably contributes to the inherent nature of our race. So it’s the human race that is destroying the planet we inhabit. As for the inevitable destruction of all life, that’s as irrelevant as the creation of life. The issue is what to do with life, not how to stop it from ending. You seem to be thinking that people are initiating the sustainable environment act FOR THE PURPOSE OF BUSINESS PROFITS. That is not true at all. Talk to any scientist involved in climate change or green technologies; most of them get into it BECAUSE they care about reducing our footprint, not because they want to make a lot of money. In fact, most researchers in academia make less than $40k/yr; it’s definitely not for the money. If you are arguing against green tech, you are arguing against protection of the environment. It is just that simple. actually…. seeing as you like the word,…. actually, green technologies will never be taken up in anything near a ‘sustainable” level unless they become commercially viable. Research jobs, even at only 40k per year won’t exist without investors. The big fossil fuel companies pulled out of the algae biofuel research and development because they believe that it will be 25 years before it can become a commercial enterprise. The development of the research findings is dependent on the business community and the social benefits of looking clean and green is usually not enough to get the level of investment required. If you read my post less defensively you will be able to get my point – being it’s not the sustainable technology that’s destroying the planet, it’s the human species. The main flaw with any sustainable system is not in the motivation of scientific research, it’s in the implementation of the enterprise and expansion of the technology. Take solar cells. Capitalist competitors are looking for ways to cut corners and undercut prices. The life cycle of this technology is as important as the ideology behind capturing the energy from the sun and replacing fossil fuels, dirty coal and environmentally risky methods such as fracking. But how clean is green? Solar cells are a worthwhile case to dig into. Another important “actually’ is at the end of the production line – the user. Just because someone installs solar panels on their roof doesn’t mean they are interested in protecting the environment and saving the planet. More often the motivation is saving money, not saving energy. The fact is solar panels give people the freedom to consume more energy. I didn’t make that up. Call it human nature…. yeh a destructive species. Actually, solar is already more viable than coal. It may be a while before it becomes more viable than gas, but it will definitely GET there. As for your argument that we are enabling people to use more power: What do you think it will even be used for? Evil destruction because that’s what humans do? I know that’s what everyone here seems to think humanity exists for.